Do you live in a difficult to find location or do you need a house sign with an arrow to help point visitors to your home in the right direction to your front door? We can make all our signs with directional arrows (exept our smallest 100mm by 100mm 1 digit house numbers) to suit. Left pointing, right pointing, diagonal and up or down. We even make signs with arrows that show visitors to turn a corner. 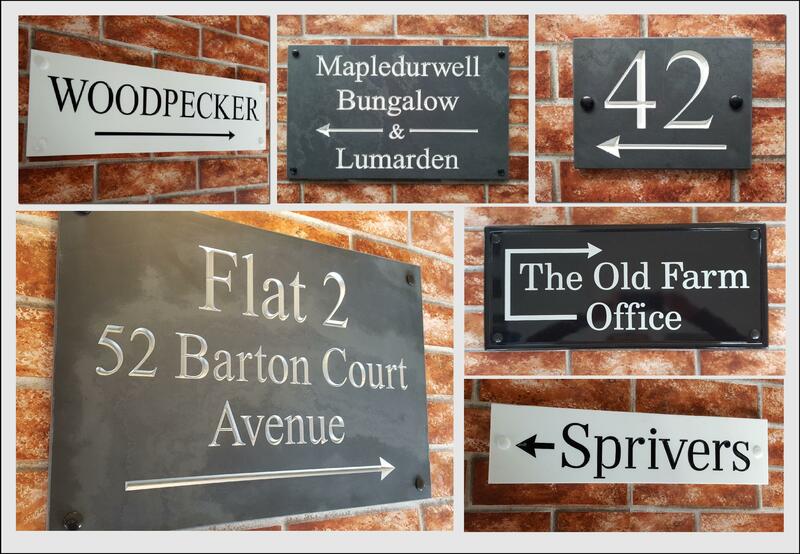 You can order any house sign from our extensive ranges with an Arrow. Simply choose the 'Directional Arrow' option in the order form and let us know in the 'Further Instructions' box which direction the arrow should point to. 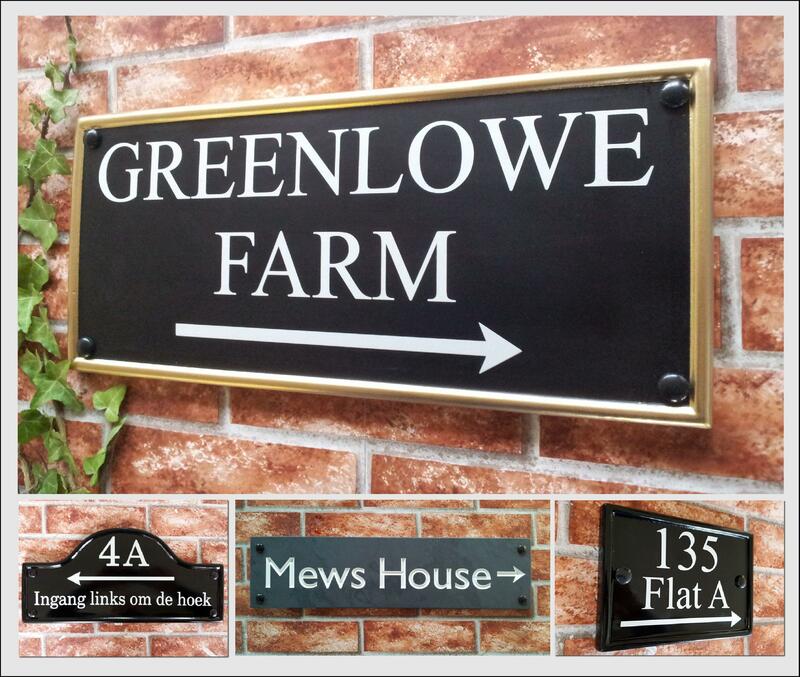 For more elaborate directional signs like the one above showing directions to The Old Farm Office we suggest to call us to discuss your requirements.